To say I am obsessed with cats is an understatement. I dote over my elaborately (and accurately) named cat, Professor Butch Cassidy. Watching cat videos is a daily activity. 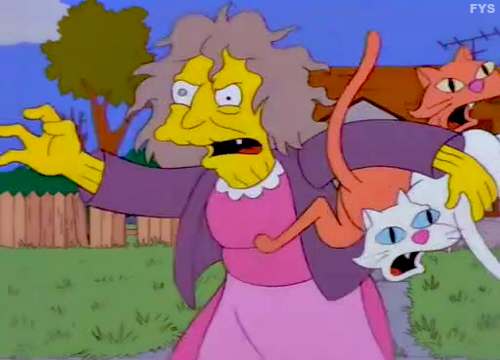 I have also been compared to The Simpsons cat lady... but that's probably not a good thing. So, if you're anything like me, the Kitten Bowl is a perfect way to spend a Sunday night. 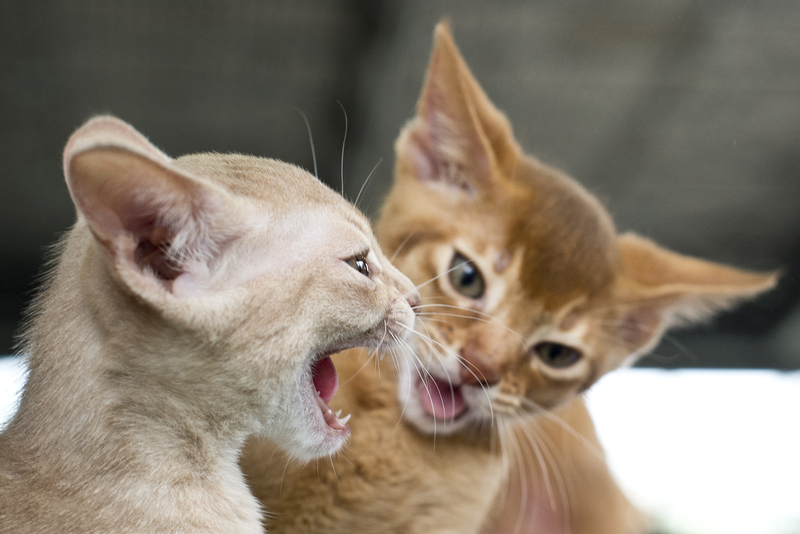 There will be cuteness, drama, and lots of kittens. And don't worry if you can't catch the Kitten Bowl premiere on Feb. 1 at 12 EST. You can find Kitten Bowl replays on Feb. 1 at 3 PM and 6 PM EST. So get that popcorn popped and uncork your wine for the kind of fun no cat lady should think of as a guilty pleasure. Never watched the Kitten Bowl before? Here's what to expect. TV personality and North Shore Animal League America spokesperson Beth Stern will be hosting the event, just like she did last year. But we all know the real stars of this spectacle are the cats themselves. North Shore Animal League America and Last Hope Animal Rescue & Rehabilitation are providing over 90 cats for the event. But this isn't just for fun. All cats will be adopted into their forever homes right after the game. The Kitten Bowl II kicks off with two semifinal matches. Check out the names of the teams going kitten against kitten: the Good Witch Wildcats versus the Hallmark Movies & Mysteries Mountain Lions and Hallmark Channel Hearties and the Northpole Panthers. If it was possible to die of overwhelming cuteness this would do it. There will be underhanded kittens. More adorable adoptable kitties than you can possibly imagine. I hope the kittens are sticking to their workout regimen. These cats will primarily be playing with mini-footballs in a mini-football stadium. But that's not all they'll have to contend with if they want to win. Kittens will also be facing the classic cat distractions of yarn and laser pointers. For the game, kittens are given football-themed nicknames like Aaron Pawdgers. The Hallmark Channel also put up cute trading cards so viewers could learn more about the kittens. Based on the trading cards, it looks like all of the cats participating in Kitten Bowl II have ll all been adopted. Now, adopting Professor Butch Cassidy was the best decision I ever made, but, this Sunday, I'm about to make another solid one: I'm going to watch all the Kitten Bowl II replays. How about you?